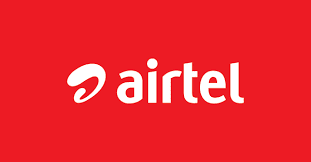 Home » Airtel Bangladesh , Airtel Offer » 2GB Internet Bonus on Airtel Prepaid Bondho Connections!! 2GB Internet Bonus on Airtel Prepaid Bondho Connections!! Airtel Bangladesh offering you 'Airtel Bondho Sim Offer' 2GB internet on 19 Tk Recharge.Under this offer you will get 2Gb internet at Tk.19 recharge.Only airtel prepaid Bondho connections (silent sim) are eligible for this offer.Reactivate your airtel bondho sim and enjoy this offer. How to check you are eligible for 'Airtel Bondho Sim Offer' offer or not? Just dial *222*2# from your bondho connections for offer details. First 19 taka recharge after reactivation of inactive connections and get! !